Naruto has always been my childhood show and it has a special place in my heart. 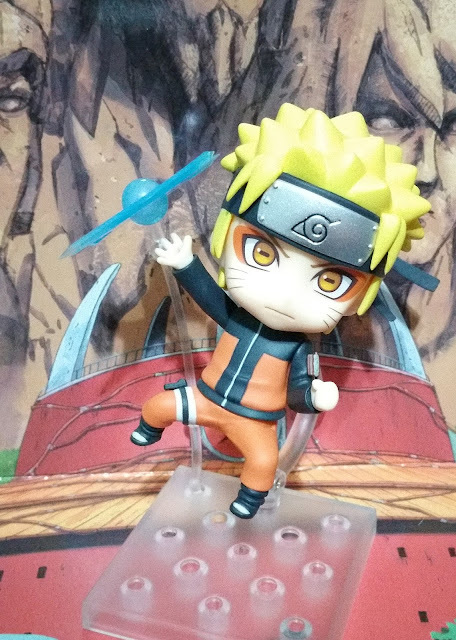 However, Bandai likes to wave around its license for it, hence there is a lack of scales and Nendoroids for Naruto figures. 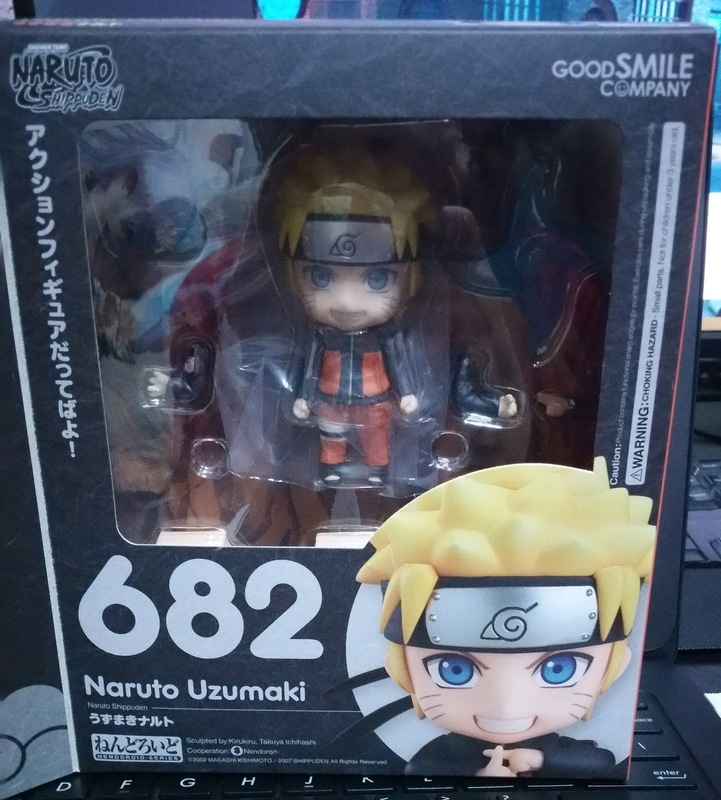 However, our hero, Good Smile Company, managed to get around that by only releasing Naruto Nendoroids outside of Japan. This gave us a chance to get Naruto Nendoroid, but the poor Japanese would not get a chance to pre-order him. 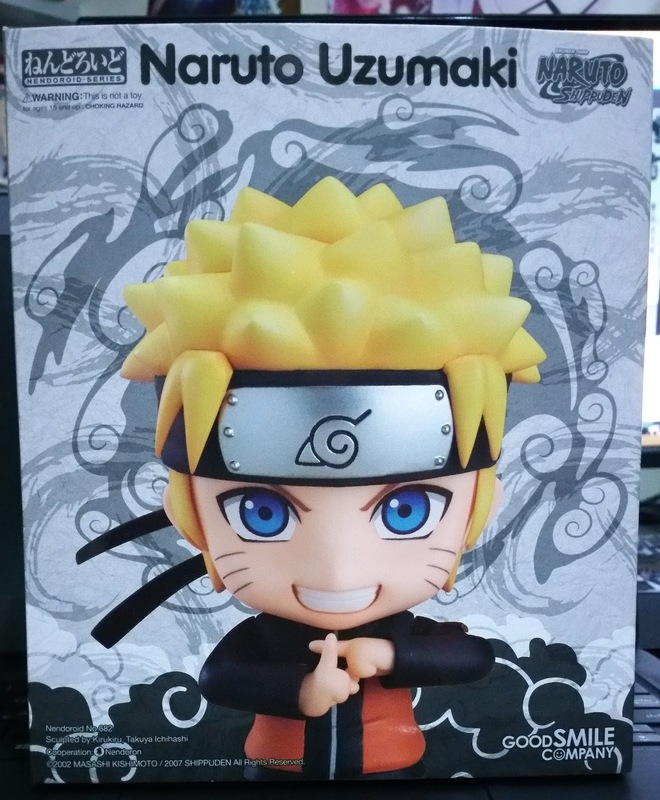 In my case, I missed the pre-order for Naruto Nendoroid, but managed to snag one from Otakutachi, which saved my day. 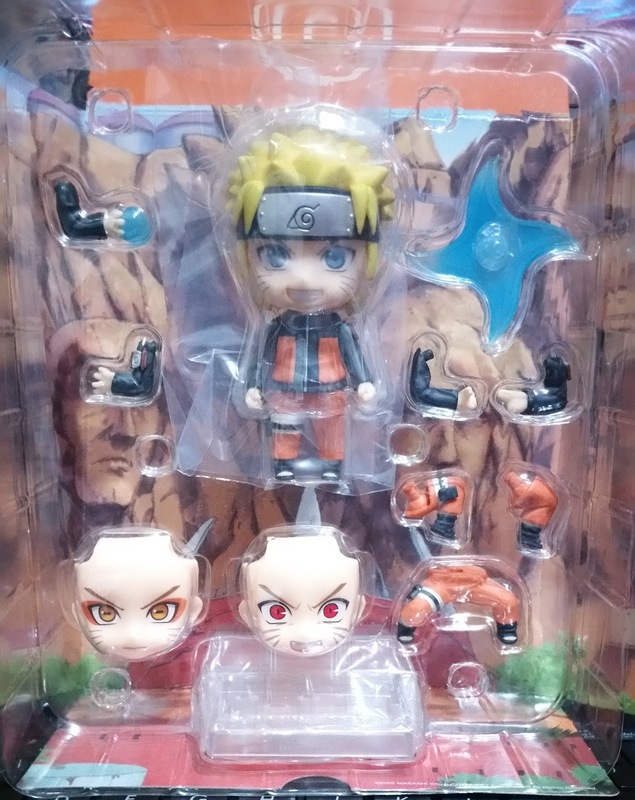 However, I only managed to get one copy instead of three and that saddens me because the three vastly different faceplates for Naruto, which shows his three different states (normal, sage, Kyuubi) are all important parts of the show and I can't choose one to display over the other. So in my defense, that sole aspect of not knowing which to display shows how great this figure's planner is. Now then, let's move on to the figure review. Do note that as I am trying out a different lighting, there might be some images where the lighting is stark. 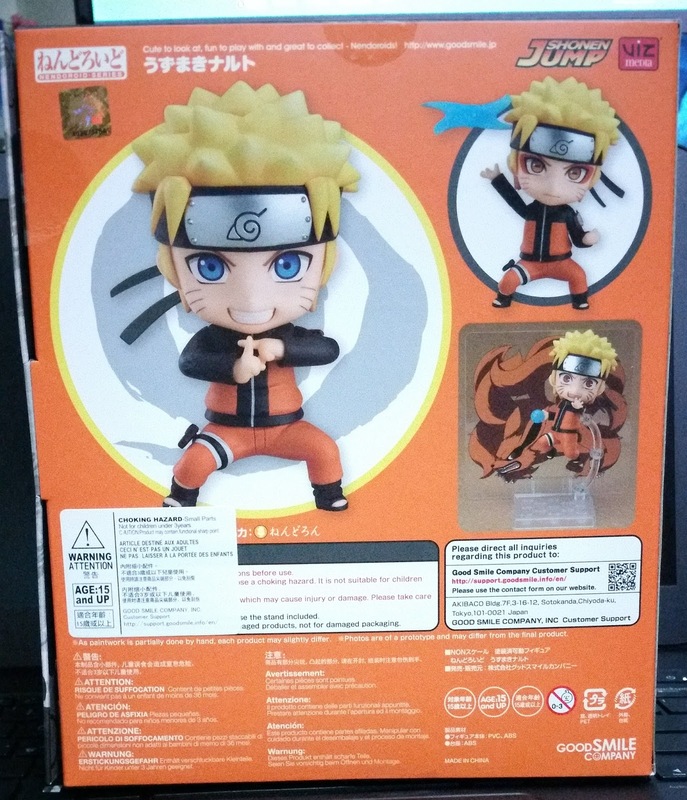 This is the box of the Naruto Nendoroid. It looks different from the other Nendoroids, and there are no windows on all sides, because there is an additional flap that covers the usual Nendoroid box. On the front of the box, we get Naruto in his Kage Bunshin pose, with a confident grin. On either side of the box, we still see that there are no windows. Instead of having a clear circle in the middle with the number, it is printed on the box itself. 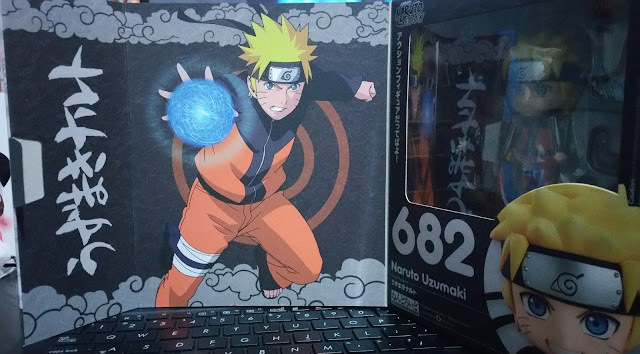 The Uzumaki symbol is printed above the number, on both sides of the box. This symbol is crucial because it's on the back and shoulder of Naruto's jacket as well. In addition, I find it a very nice touch that the shot of the figure at the bottom has him facing the back as well as the front on opposite sides. The back of the box is in orange, which is Naruto's color. We also see the three different photos of Naruto used as his promotional photos and this is the same as the back of any Nendoroid box. To the left of the image, you also see the flap of the box. This part of the box is quite easy to tear so be very careful when you are opening the box. Once you open the flap, to the other side of it, you'll see this illustration as well as the normal cover of Naruto's Nendoroid box. We get to see a very pretty rasengan here. 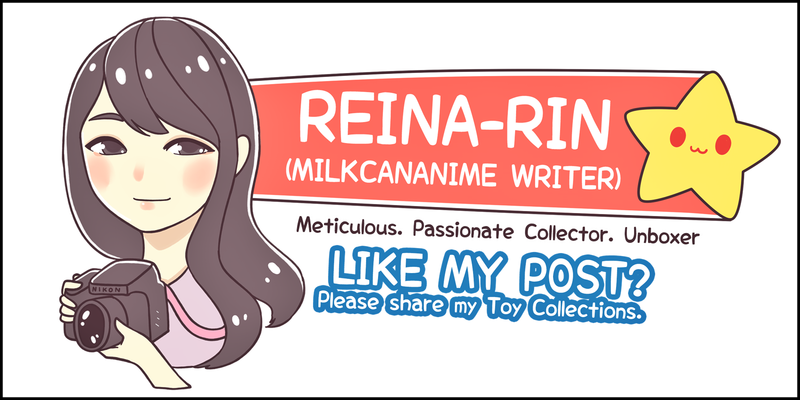 Do note that however, you do not have to open the flap to take out the Nendoroid. The top of the box opens just like any other Nendoroid box. You might not want to open the flap up that much if you intend on preserving your box in a pristine condition. The box itself is a normal Nendoroid box under the flap. Here you can see the window of the box and the main monochrome image colors. There are some hints of orange but while I do wish that there was a tad bit more orange in the color scheme, the monochrome colors keep it looking very chic and elegant. 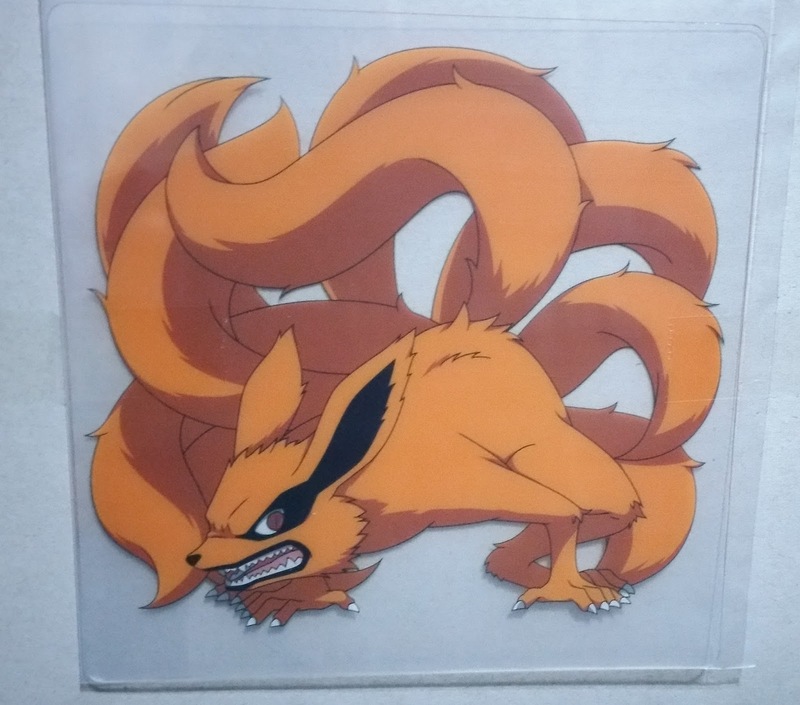 At the back of the background sheet is Kyuubi, taped to the box. Do not forget to take him out if you wish to use him! The next image is that of the background sheet itself. 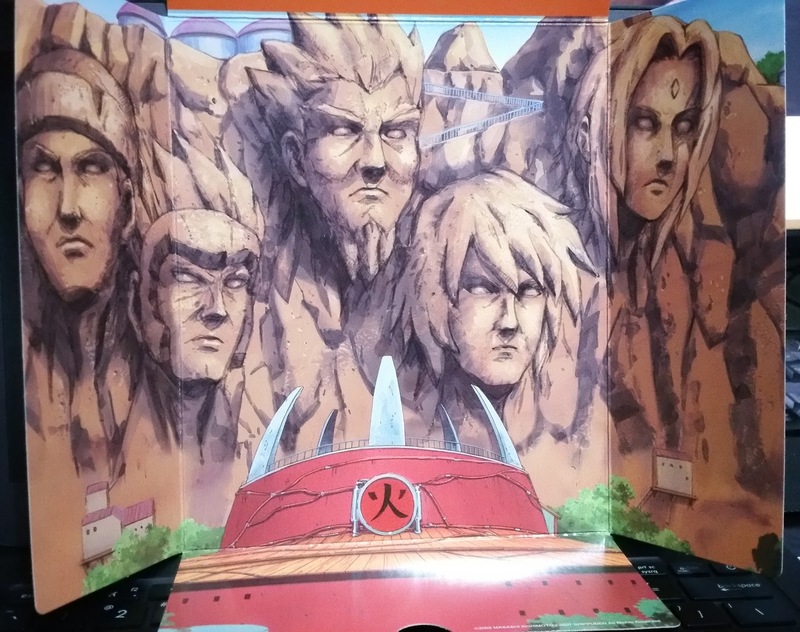 It's of the Hokage monument and adds a very good touch to the figure because this represents a lot of the leaf village. 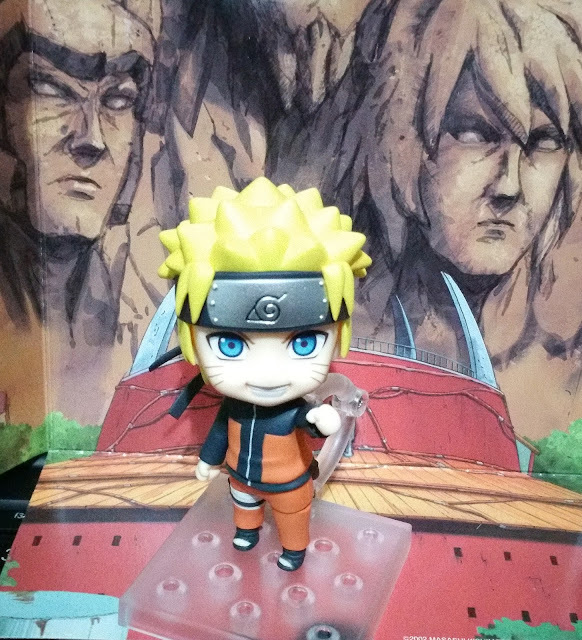 Sadly, Kakashi and Naruto's faces aren't on there yet but well... Nendoroid Naruto isn't a Hokage yet anyway. In any case, this is one of the background sheets which I'll like to take photographs of the Nendoroid with and that's kind of rare for me so kudos to the figure planner! 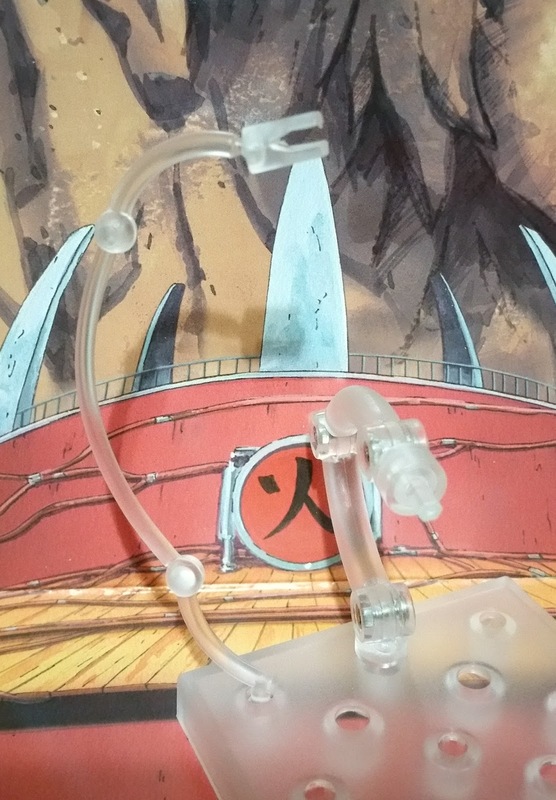 Well, it's the same Nendoroid base as usual, except that there is an extension for Kyuubi's sheet. However, do note that the plastic piece holding Kyuubi's sheet cannot be joined to Naruto's base so you'll have to place them separately. This could be a point of concern as Kyuubi could easily fall over. The sculpt isn't half-bad because there are a lot of creases to his sweater, making it look realistic. The white lines and the different sections of orange and black on the sweater are mostly clean. In addition, I like the paint on his headband because the metal part is painted in a different texture, making it highly reflective and looking like the rough material on the headband in the anime. The carving of the leaf village symbol is smooth yet also being able to look like it was carved by something like a kunai, which makes it look authentic. The straps of the headband can be removed and I would suggest removing them first before putting the stand on, then attaching them back or they might get in the way. The straps are also rather flexible, allowing for some resistance to damage. I would like to point out that the area between the blond hair and the headband strap isn't clean. There is a line of yellow which stands out when you look at that area. Along the hem of the black sweater top, you can see that there is a slight leak of the orange paint into the area. However, that is nothing minor. Using the above image, I would like to point out the weapon pack on Naruto's left buttcheek. It is adequately shaped and looks bottom heavy, just like how it is supposed to look like when it is filled with weapons. I still wished they had a pose that has Naruto taking weapons out from there. A zoom in on Naruto's face and we can see that his trademark "whiskers" are cleanly painted. All 6 lines are sharp and straight. 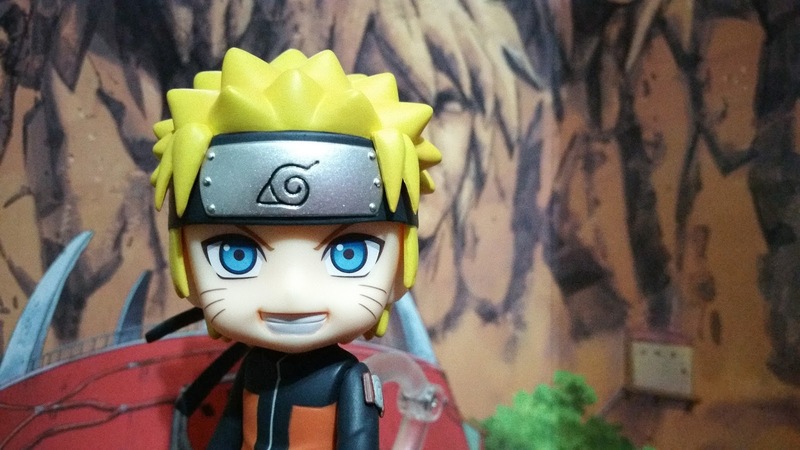 His wide-grin is Naruto-esque and a sculpt line cleanly divides the teeth into two rows. For the next part, we see that there a separate stand for the rasen-shuuriken and this "mouth" helps to clamp the part loosely. 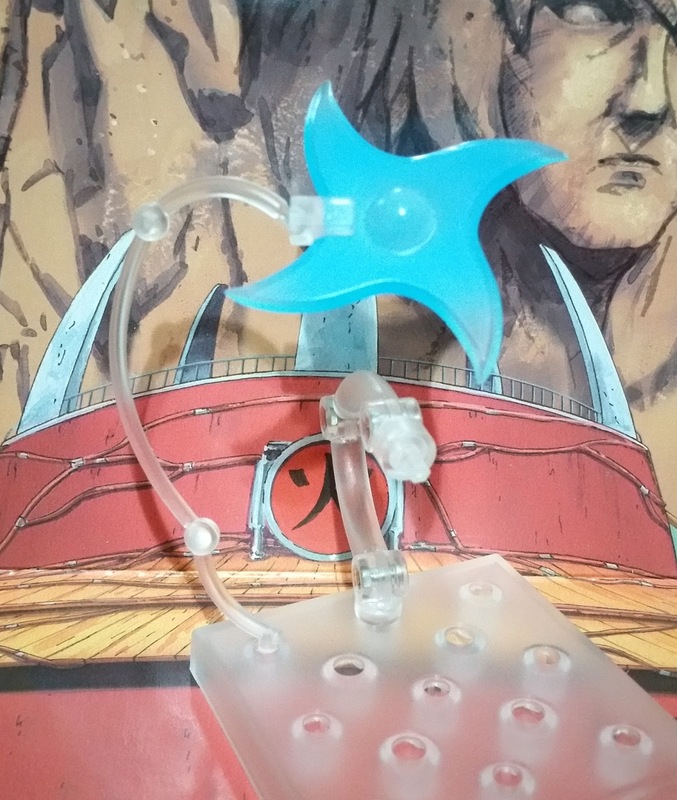 The flexible joints on that stand helps to adjust the height and position of the shuuriken to give flexibility for more dynamic poses! As you can see from the photo above, the edges of the rasen-shuuriken is rather sharp, especially at the tips so be sure to be careful when handling it so you won't damage the Nendoroid in the process of positioning it. Naruto comes with three different types of legs--straight, bent, and this extra bottom part, as well as three different types of hands--clenched, open and Kage Bunshin pose. For this pose, I decided to mix two different kinds and this is the result. Am I super pleased with it? Probably not. Let's look at his last faceplate and the other two (bent) legs. This faceplate can both make him look like he is in shock or very angry. For this pose, I've tried to keep him as similar as I can to the official promotional pictures and I can just hear him going "HINAAAATTAAAAA!!!" For the sculpt, I would like to point out that the 6 lines on his face is thicker now, and is made up of a mass of crisp and thin lines. This keeps it tied in with the anime where his lines do get thicker when he goes into Kyuubi mode. It isn't clear in this image but the rasengan has a lot of smaller lines in it, in lighter shades of blue and even white. This makes it resemble the rasengan buzzing with high energy, akin to in the anime. For this pose, you can see the seam lines in the thigh where it joins the pelvis. This is also part of the reason why I never liked male nendoroids due to the seam lines along the thigh region. Do note that the higher raised right leg is quite difficult to put in place. As I mentioned before, there are three almost fixed poses for Naruto to be in, which reduces his poseability quite a bit. As with the image above, there are two bottom poses for Naruto which are both bent in almost identical ways. 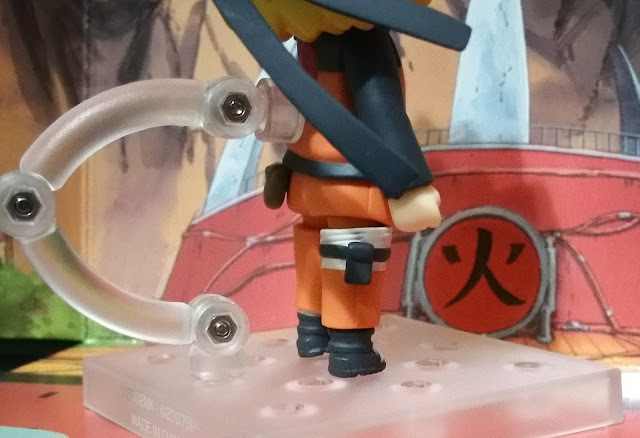 In addition, the right leg for Naruto has to be placed in a similar angle to that, and this would definitely reduce the number of poses which Naruto can take on. 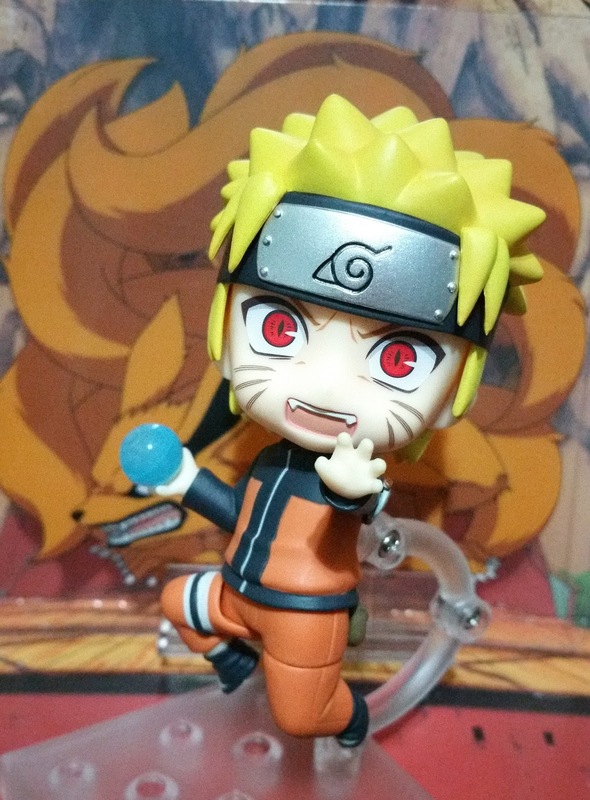 Have I ordered other Naruto Nendoroids? Unfortunately... no. I am not a big fan of Sasuke although I am very tempted to order him just to pose him holding hands with Naruto. I like Kakashi but his hair does put me off a little so I'm still on the fence for him. As for other Nendoroids that haven't and may never be announced, I hope that they would make Sakura, Shikamaru and Gaara at least. 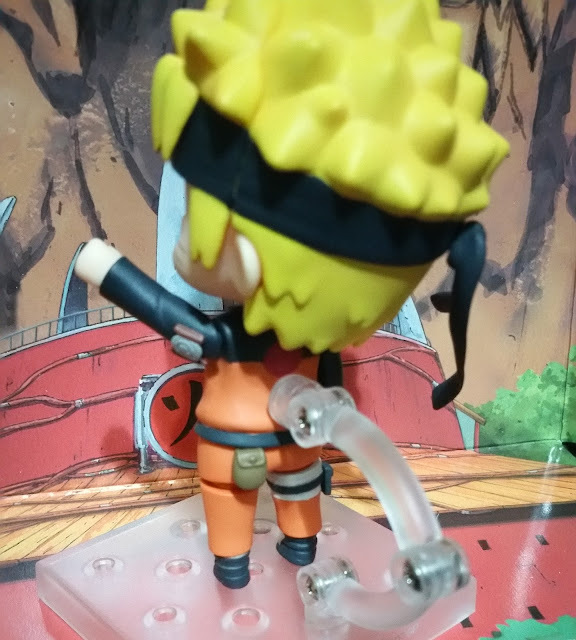 No Comment to " Figure Unboxing and Review: Nendoroid Uzumaki Naruto "